With over 30 successful years of business in Burlington, we are the areas premier source for specialized custom mounting, laminating and framing. When everyone told you it couldn't be done, Cave Art does it every time. We carry a wide selection of framing supplies including mouldings, mats, glass and hardware and much more. We are committed to provide you with the utmost quality and service for your wall décor and commercial needs. 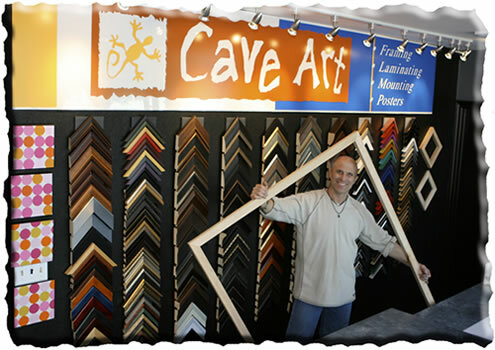 Cave Art also restores your old damaged posters allowing you to customize your look from hundreds of the finest frames, mounts, mats, and finishes. Cave Art's NEW STANDOUT product. This 2 inch Standout comes in a high gloss or matte finish, customized to your image. Come in and see a sample today!